Impact Vertical Computer Messenger Bag. This modern computer bag was designed with the tech-savvy professional in mind. Padded, scratch-resistant exterior pocket fits most Tablets and e-readers. Padded, zippered computer sleeve fits up to a 15. 4" laptop. Front zippered pocket. Side mesh water bottle pocket (water bottle not included). Side cell phone pocket with Velcro closure. Multi-function Organizer under front flap. 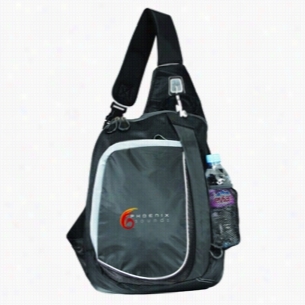 Wide, adjustable shoulder strap for carrying comfort. Fits up to a 10" tablet. Materials: 420d dobby. Life in Motion Momentum Computer Messenger Bag. Flying through airport security has never been so easy. 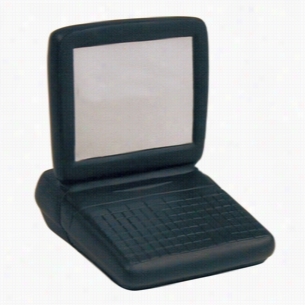 Back zippered compartment features Viewpoint System computer sleeve with detachment buckle and clear window for easy scanning of laptop (fits up to 15. 4" laptop). Back zippered pocket stores hideaway backpack straps. Bottom zippered pocket to store MP3 player with outlet for earphones Side zippered padded pocket stores iPad, Kindle or Nook. 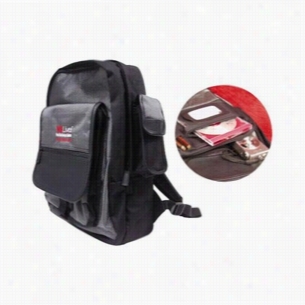 Interior zippered pocket features multi-function organizer. Side elastic pocket for water bottle (water bottle not included) and side zippered pocket. Removable, adjustable padded shoulder straps. Patent pending. Fits up to 10" tablets. Materials: 420d dobby / 600d polyester. Impact Vertical Laptop Bag. 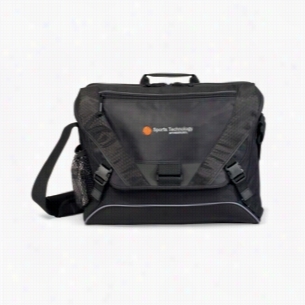 This modern computer bag was designed with the tech-savvy professional in mind. Padded, scratch-resistant exterior pocket fits most Tablets and e-readers. Padded, zippered computer sleeve fits up to a 15. 4" laptop. Front zippered pocket. Side mesh water bottle pocket (water bottle not included). Side cell phone pocket with Velcro closure. Multi-function organizer under front flap. 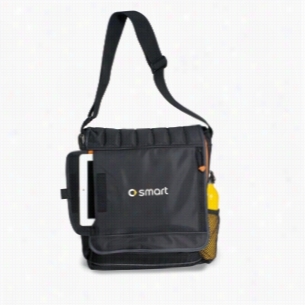 Wide, adjustable shoulder strap for carrying comfort. Fits up to a 10" tablet. Materials: 420d dobby. 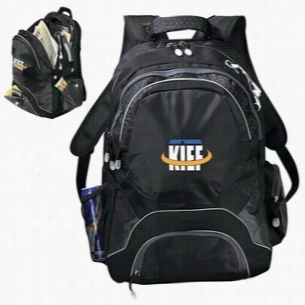 If you are looking for a nice high tech backpack at a reasonable price, consider our high tech Computer backpack. Packs feature quality hardware with two-tone metallic silver nylon combined with standard black ballistic nylon. Adjustable shoulder straps, padded pockets for your cell phone, PDA, pens, and your notebook computer for today's mobile executive. 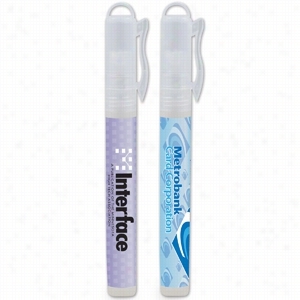 Keep your electronic device tidy with this Laptop and computer screen cleaner Pen spray. This convenient accessory comes in handy for not only computer screens, but any handheld device including, mobile phones, mp3 players and digital readers. This 0.33oz / 10 ml bottle includes a full color process decal to give you a high quality retail look! It's the perfect tool for schools, libraries, work environments and personal use.Stock Background, CALL FOR DETAILS. This rugged, durable portfolio works as hard as you do with style that takes you anywhere. 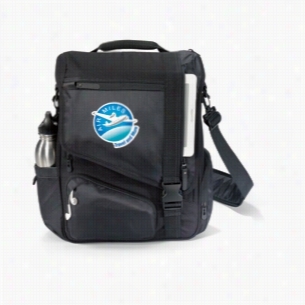 Back features Viewpoint System with zippered compartment (fits up to 17" laptop) to store and protect laptop during travel. Opens flat to expedite airport security check-in. 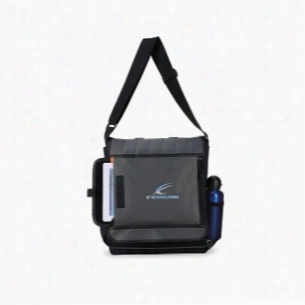 Front flap secured with two buckles conceals multi-function organizer for Computer Accessories and a sleeve for tablet or e-reader. Expandable side mesh pocket for water bottle (water bottle not included). Adjustable shoulder strap with removable padded grip. Fits up to 10" tablets. Materials: 420d dobby / 420d honeycomb. 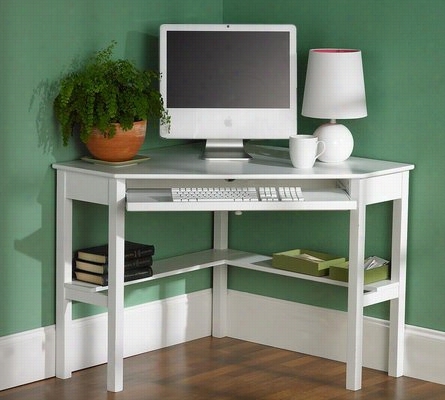 Corner Computer Desk One Size. You know there have been many times that you have felt Computer frustration! This laptop shaped stress reliever imprinted with your companies logo or slogan will help keep your clients cool, collected and aware of your companies commitment to quality! Due To Their Handcrafted Nature, Stress Ball Sizes, Colors And Textures May Vary. Factory Cannot Guarantee Consistent Imprints Or Pms Matches. Related Search Terms: Stress RelieverProducts are not intended for use by children or pets. They may present a choking hazard to children under 3 years of age.